Loneliness can creep in to anyone’s relationship whether you are married or dating. Long distance training, constant PCS moves, new job assignments or deployments are the norm for you and your spouse. Being a military spouse you soon realized your spouse may not always be close to home or home at all. As your spouse embarks or advances in their career over time you could develop feelings of loneliness. Loneliness is defined as a “state of being alone and feeling sad about it.” Who hasn’t been sad about being alone? Maybe you just miss cuddling with you spouse and feeling them breathe or hearing their heart beat. When my wife is away I miss her because I miss her smile, her laugh, her observation and commentary on topics that come up between us, not to mention the accents we use to talk sometimes. Maybe you have just moved and feel alone in a new place without anyone close you know.What do you do about not getting sucked into the self-pity and depression when feels of loneliness overcomes you? 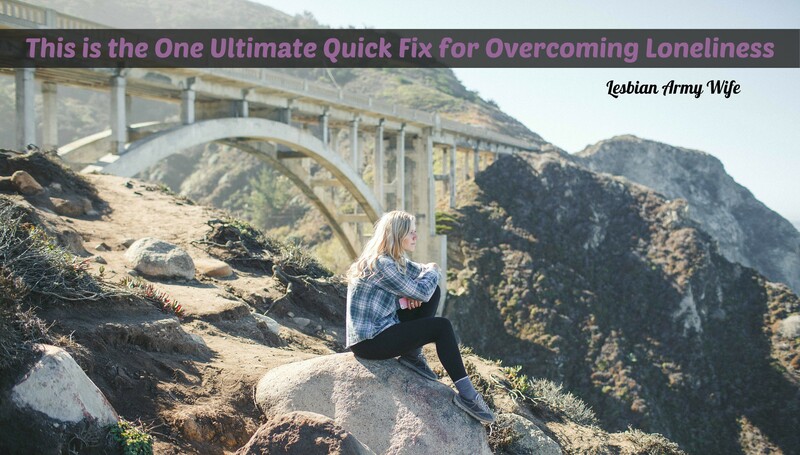 The ultimate quick fix to overcoming loneliness is ACTION. Action is required to overcome loneliness. You must do something so you do not get sucked into feeling lonely. You are not alone and you are not the only one missing their spouse because of varying job assignments domestic or abroad. Don’t leave yourself vulnerable to loneliness. 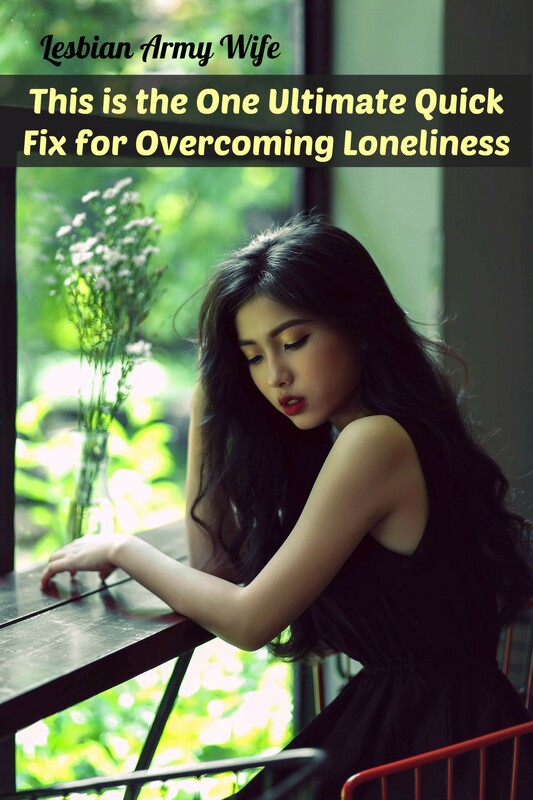 Check out my previous blog post on what actions you can do to prevent loneliness. Start a hobby (pring is just around the corner try gardening or mediating), join an instrest group, explore you spirituality, or visit an FRG meeting in you new area. Call your friends and family from home to keep connections alive. I have been waking up every morning and saying to myself ” Today, is going to be awesome!” I try to say this as soon as I wake up even when my eyes are closed and I am cozy in bed. I try to start my day off positive even if I don’t believe it at first. Then I get out of bed and think again “Its going to be a great day.” Everyday is your choice to be happy or to be unhappy. Taking care of yourself is the best thing you can do support your spouse, your family and you. When you fully and loving take care of yourself you are able to see situations more clearly and have a better understanding of what to do. Taking care of yourself is simple like getting enough sleep, eating healthy meals, going to the doctor or even talking about how you feel. If you are new or need a few reminders read blogs created my military spouses to understand what others go through. Its always comforting knowing you are not the only one feeling the way you do. Connecting with your spouse while they are gone is the key to break away from loneliness. Communicate as often as you can create fun care packages and write hand written letters to feel close to your spouse. What are some ways you do to cope with loneliness? Share you thoughts! Free Online Schooling for Military Spouses + Job Placement to work from home + Now includes a laptop at no additional cost to provide an enhanced student experience. The Department of Defense’s MyCAA program offers eligible military spouses $4,000 to cover training that will prepare you to start working. Are you eligible? MyCAA covers certificates like those offered by Career Step that are designed to help you start working quickly in growing fields with nationwide demand—so your career can transfer with you when you move. Career Step’s online programs include everything you need to train for a rewarding new career, and with MyCAA you can go to school with no out-of-pocket expenses!